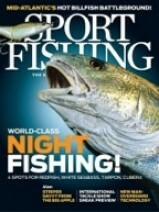 Get 2 Free Issues of Sport Fishing Magazine. All you have to do is complete the short form and allow for them to ship the two free magazines. Your profile and answers to the questions in the form will determine the magazines that are presented to you so make sure you answer honestly.